Did you know that apps like Facebook Messenger, WhatsApp and Gmail drain your mobile data plans while working in the background? 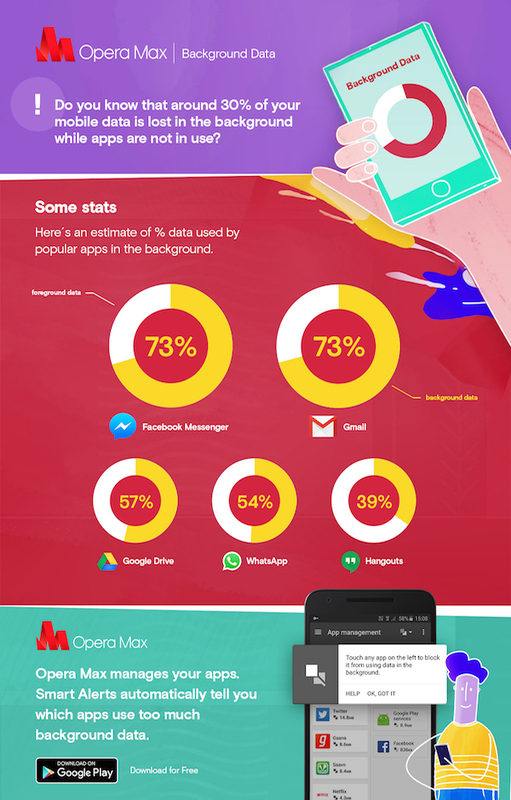 In a recent study based on app usage with Opera Max, we saw that over 30% of all data is used by apps running in the background. Background data is any data being used by your app when you’re not actively using it or when the phone screen is off. It includes things like your news app that’s constantly updating content and fetching ads, soaking up your data, even though you’ve not asked it to. This is especially risky when you’re on the move and using expensive mobile data. We wish we could tell you that we read Joanna Stern’s Wall Street Journal article, Stretch your Wireless data plan instead of paying more, two weeks ago and built the dream data-management experience she envisions in her article just in 2 weeks. 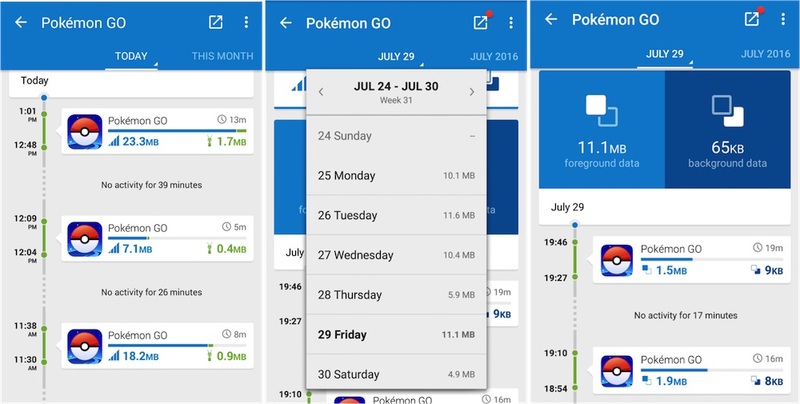 But, in reality, making a smart data-usage alert system that is actually helpful at managing data usage of your apps and helps you stretch your data plan is very complex. We have been doing R&D on a Smart Alerts feature for our Android app Opera Max for many months now. We are really excited that Joanna’s vision for an “ideal data management experience in Android” is incredibly close to what we have been working on. Let me tell you more about the updated version of Opera Max that rolls out today. Opera Max is a free data-savings and data-management Android app. And, we’ve been working hard to add even better tools to Opera Max, so you can manage your apps’ background data usage, to save more data and get more out of your data plans. Today, we are introducing a Smart Alerts feature to Opera Max to help you save up to 30% more of your mobile data plans. Instead of having to hunt down which apps are the data hogs, you will get automatic smart notifications about which apps are devouring background data. It gives you the choice to block background data usage in just 2 taps. This feature allows you to choose which apps you want to block from using background data. Opera Max’s slick and fun interface puts you in control of which apps have background-data-usage permissions. 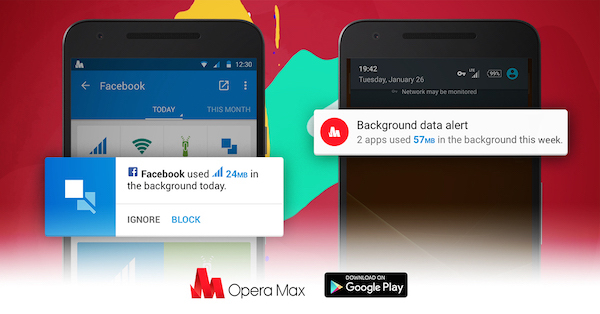 Opera Max also triggers an alert when an app uses more than 10MB background data per week. Last, but not least, in this version, we are also unveiling our all-new Opera Max “M” app icon to reflect the new Opera brand identity. The new icon has a crisp and modern design, in keeping with our product’s identity for the new year and beyond. We hope you like it. 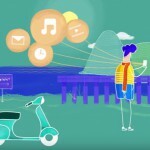 Previous article: #StillYourOperaNext article: Is background data devouring your data plan? Get free Opera Max app!